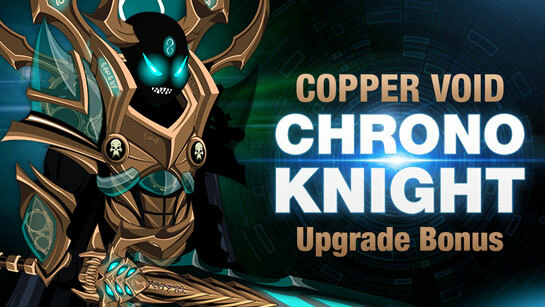 Upgrade to unlock the exclusive Copper Void ChronoKnight set! Command space and time when you become a Void ChronoKnight! Buy any AC or membership package worth $10 USD or more to unlock one of our upgrade bonus packs, then log in to your Account Manager and choose the Copper Void ChronoKnight set. Once you've chosen the Copper Void ChronoKnight set on the Account Manager page, log in and find the set's shop in the Other Achievements tab in your Book of Lore. 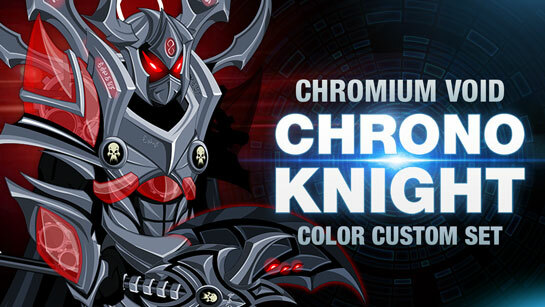 Permanently unlock the color customizable Chromium Void Knight set when you buy the Chromium Canister for 6,000 ACs. Choose the Copper Void ChronoKnight upgrade bonus in your Account Manager. Log in at www.AQ.com and find your Copper Void ChronoKnight badge shop. Buy the Chromium Canister item. /join battleontown and head to Vinara's Curio Shop. Click on the Chromium VoidKnight to unlock your gear. 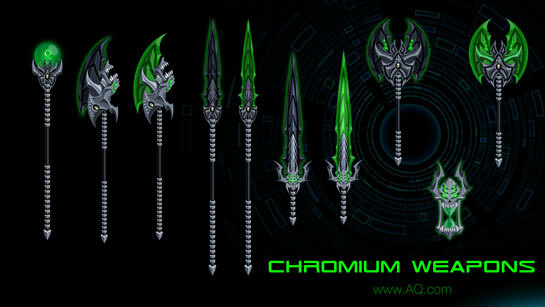 *During January 2019, the Chromium Void Knight set was available for players who purchased a 12,000 AC pack or 12 month membership. The Chromium Canister is priced to keep the total cost of the Chromium Void Knight set equivalent under our new system. This set will not be purchasable as a separate upgrade bonus.